Of late, Apple, Google and Facebook have been under fire from numerous sources – and for good reason. While the benefits of such firms are vast and immeasurable, society is also suffering at the hands of their tools, which we have grown to rely on. In short, we’re addicted to our smartphones and to the various forms of social media that they offer. This addiction is causing a long list of problems: distracting us from school and work, harming our personal relationships, and even triggering anxiety disorders. How can companies whose very purpose depends upon keeping users glued to their screens for as long as possible now encourage the very opposite? In response, the bigwigs of the tech industry have introduced new tools and apps in the name of promoting digital wellbeing. Back in January, Mark Zuckerberg started off the New Year with a pledge to ensure that the time we spend on Facebook is “time well spent”. He said that, according to research, using social media to connect with those we care about can be good for our wellbeing – for that reason, product teams in the company will focus more on helping users find “more meaningful social interactions”, as opposed to more relevant content. In May, Google introduced a set of time management tools for Android users to track their screen time and app usage. This included the introduction of Shush (which enables users to switch on ‘do not disturb’ by simply flipping over their phone) and Wind Down (which fades the screen to greyscale for bedtime) modes. Apple was quick to follow suit, announcing in June a series of new controls to monitor usage, while also setting time limits and better controls for notifications and for children. Also in June, Facebook-owned Instagram rolled out a new browsing alert that says: “You’re all caught up – you’ve seen all new posts from the past 48 hours.” This was designed to prevent mindless – and seemingly endless – scrolling. Nowadays, every company in the business employs behavioural psychologists or uses certain techniques to keep consumers using their apps and devices for as long as possible – glued eyeballs are how they make their money, after all. “And the funny thing is, it’s not rocket science. It’s actually pretty straightforward behaviourism, and every company does it – they all have their own tricks,” said Dr Larry Rosen, a research psychologist and author of several books on the psychology of technology. Instagram, for example, doesn’t send notifications individually – instead, it batches them together, delivering a few at a time, which is much more reinforcing and dopamine-inducing. Snapchat, which is used primarily by teenagers, features ‘streaks’, which keep track of how many days in a row a user has sent and received a snap from each person. “And that is a perfect behavioural way to keep you sucked in,” said Rosen. Stories of teenagers giving their friends their login details so they can keep up their streaks while on vacation attest to this. After a study finishes, Rosen and his team ask participants if they checked the data before submitting their results. The answer is invariably yes. They then ask if it was more or less time than they thought – it’s almost always more. “And then the important question is, did you do anything to make any changes? And the answer [for] at least half of them is no,” said Rosen. Rosen explained some of the reasons: “One is simply accessibility – you carry [your phone] with you all the time.” Another, he said, is poor metacognition, which sees us make bad decisions about using our phones to our detriment: for example, keeping them within hand’s reach at night, despite knowing it will impact sleep. There is also the boredom factor: people simply do not allow themselves to feel bored anymore. A moment becomes free and out comes our phone, ready to benignly entertain us for seconds at a time. Then is what Rosen believes to be the most important reason: anxiety. Studies have been carried out to prove this. In a recent instalment of CBS’ 60 Minutes, which has been watched by millions, Rosen and his colleagues put the test to presenter Anderson Cooper. While hooked up to a device, Cooper’s phone was placed out of sight, but still pinging with notifications. “Every time we texted him, the galvanic skin response, which is a measure of anxiety, spiked,” said Rosen. This type of reaction – though extreme – has in fact become the norm for most of us. This means that Apple and Google can promote digital wellbeing, but they can do so by pointing towards social media apps. 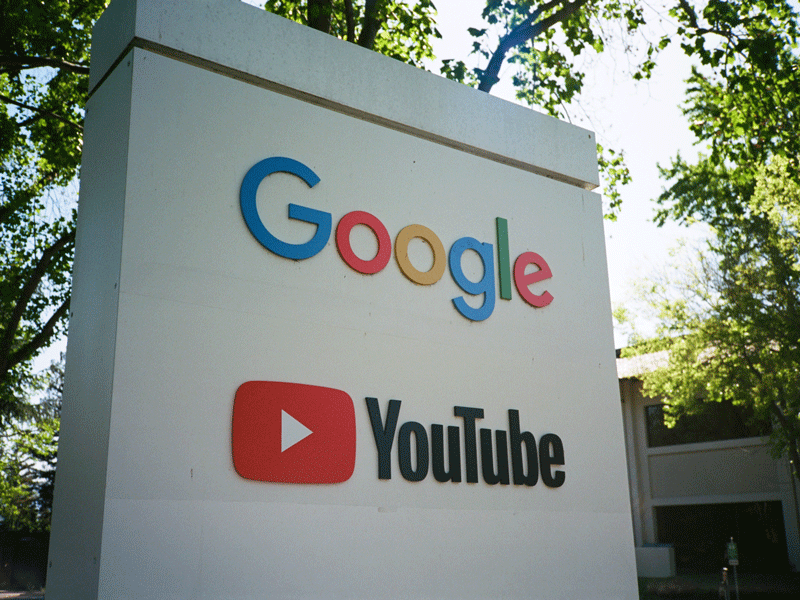 “I think it’s actually not surprising that you see Google especially being much more willing to engage with digital wellbeing as this kind of loss leader, because they know people are still going to use their search and they’re still going to buy their phones. Whereas Facebook’s phrasing of digital wellbeing, which is this idea of positive connection, supports Facebook’s business model of more connectivity,” Stark told World Finance. Ultimately, technology companies are not suddenly worried about our wellbeing. They are not concerned if we’re spending five hours a day on our phones – in fact, that’s a win. They engineered this scenario through their surreptitious use of behavioural psychology. However, they now recognise that people are becoming more aware of their obsessive behaviour, the harm it is causing them in the present, and the potential consequences to their (and their children’s) physical and mental health in the future. As this awareness grows, so will the backlash. In this respect, technology companies are simply trading their short-term growth for long-term profitability: they are just trying to put out the fire before it spreads.